Recently I wrote about a fundamental change that will affect IT service management (ITSM) organizations in the near future – the “third way of work,” an evolutionary step that builds on the first way (unstructured work) and the second way (managed work). Soon, if you work in an IT organization, you’ll only engage with “intelligent work.” Where the skills that distinguish you as an intelligent human (you are... aren’t you?) will be elevated above the skills (you possess) that can now be completed more efficiently by a computer. Please read on to learn more about artificial intelligence (AI), machine learning, and the third way of work. The human brain is an amazing machine. It excels at pattern recognition, language parsing with context, and creative thinking. Your brain can run parallel tasks and sort and resort information almost instantly. With the 90 billion nerve cells crammed into your cranium you have a neural network with hundreds of trillions of pathways that brain signals can travel through. A computer simulation of a human brain would require 82,000 processors running on the world’s faster supercomputer to keep up. Let’s examine how companies use – and arguably abuse – the potential of human operators during a day-in-the-life of an IT service organization. We use people to manually look for patterns in data and then to make a decision. This work is often unrewarding and uses the creative potential of the operator to perform a task which is much better suited in the hands of a computer. Technologies such as AI, machine learning, and natural language processing have long promised a reprieve for humans stuck with manual, repetitive tasks that don’t challenge them. And we’ve thankfully reached a point where these technologies are now ready for use inside an IT service organization. I want to show you how. It’s standard now for significant new technologies to travel through the industry hype cycle and, during the formative stage, to be completely shrouded in mystique and confusion about what the technology can actually do. For instance, cloud took a long time to demystify, and AI is no different. In recent years, many different strands of AI have broken through into consumer technology, giving the impression that “it’s arrived.” We all use AI-enabled cloud services, carry AI-capable smartphones in our pocket, and…. excuse me a moment... “Alexa, stop playing music”… sorry, what was I saying? Oh yes. AI virtual assistants are prevalent in the home and performing simple tasks for us today. But let’s start with the basics and share some definitions. So, what is AI? It’s interesting that all of these definitions are from the last century, and one is 40 years old this year! A colleague of mine met a professor in a Brisbane University who’s been working in the field of AI for about the same number of decades. “That’s great!”, said my colleague. “What did you do for the first 30 years?”, he quipped. It was meant as friendly banter, but it raises an interesting question. A lot of computing power. For the first 30 years, the Aussie professor had been researching and developing algorithms. Only more recently have we had the ability to generate and capture the required volumes of data and had the computing power to make sense of it. Next, let’s look at the different technologies and scientific disciplines encompassed in making computers think and act both humanly and rationally. If, like me, you grew up on 90’s British comedy shows you’ll remember Kryten from the asteroid mining ship Red Dwarf. (If you never watched Red Dwarf (a) you need to and (b) imagine your favorite science fiction humanoid robot). Kryten exhibited all of the above AI characteristics. He could speak English with natural language processing (as well as other alien languages). He could see and recognize his other shipmates with computer vision, as well as manipulate his mop with his robotic ability. And he could store information and use automated reasoning (normally to annoy Rimmer). But I’m not sure he ever learnt much, so perhaps machine learning wasn’t in his firmware. But I did love him, and his lost-in-space shipmates. Robots and the third way of working? As we enter the third way of work, should we clear desk space for Kryten to come along to start resolving incidents? That would be amazingly fun, and I’m aching to say “yes!”. But, alas, not yet. Computers that exhibit all of the AI disciplines and integrate them well together are still a piece of science fiction. The Boston Dynamics dog that can open doors is the cutting edge of robotic movement technology. DeepMind computers can exhibit reasoning to a level where it can beat the world’s best players at Go (the hardest challenge for a computer to master). But few solutions are integrating all of these technologies together, and certainly not for ITSM. Don’t be depressed though – individual components of AI can be used today to solve narrow use cases for ITSM. And these will add a lot of value while we’re waiting for our “General AI” solutions to join us at work (and then presumably put us all out of work). 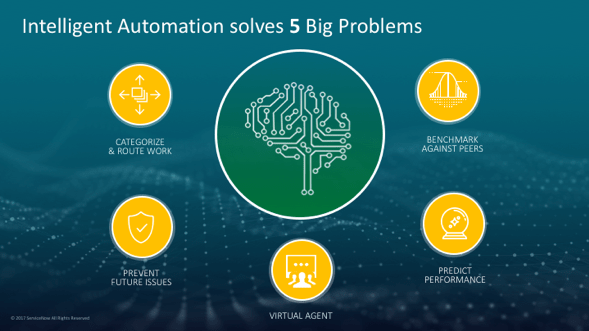 Remember that these five benefits of intelligent automation will not be provided by a single AI product or solution. Today we are dealing with solutions that solve a specific, often narrow, problem. You’ve read my overview of AI. Let’s now dive deeper into one of the disciplines and see how it applies to ITSM. We’ll start with machine learning. In the image below, you can see two examples of machine learning that are designed to identify pictures of animals. 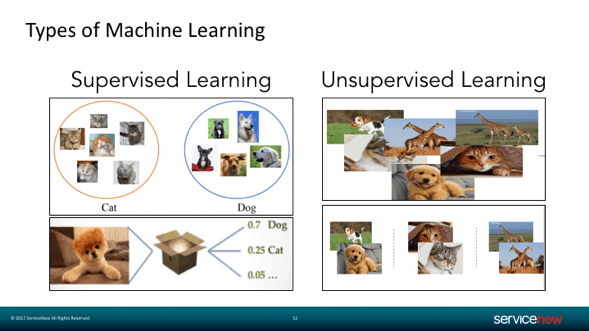 The supervised learning solution has a training set of images that are labeled “cat” or “dog.” By digesting the training set, the solution can interpret new images and apply labels based on matching characteristics. The image at the bottom left has a high probability of being a dog. The unsupervised learning solution has no labeled training set. It digests images of animals and then attempts to group them together based on characteristics. The computer is smart enough to put a picture of a dog into the matching set of dog pictures, but just knows “it’s a four-legged animal with a wagging tail.” It doesn’t know explicitly that these are pictures of an animal known as a “dog." With AI solutions for ITSM you are most likely to come across supervised learning. You will need an existing dataset that will train the solution, and which will be used to base future decisions on. What category should be applied to this incident? Which assignment group should handle this incident? The machine learning solution will read the existing incidents and start to understand the language used by the customer that submitted it. By reading the incident description (or opening notes) and understanding the category and assignment group that was manually assigned by the human operator, it can develop the intelligence to automate that choice in the future. 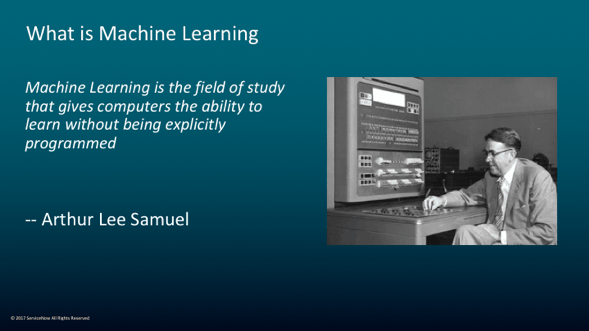 Supervised machine learning requires an extensive learning set, often containing as many as 35,000 labeled examples of incident records. And building a model from that data could take more than 12 hours on dedicated high-performance computing hardware. So, this can be an expensive solution, both in terms of solution software and in the technical effort in creating the model. But the results can deliver great value. Any new incidents that are submitted can be automatically given a category and assignment group that will be statistically correct, based on historical assignment of “like” incidents. And this is done instantly with zero human interaction. The machine is taking care of an arduous, repetitive task that is critical to the success of the service experience. If we don’t correctly apply the category and assignment group, then the incident won’t be treated correctly, and resolution times will be prolonged. The machine will have the experience of at least 35,000 previous examples of incidents with which to make a decision about these important attributes, it will make that decision for every single incoming task in a fraction of a second, and with a predictable level of quality. Of course, this isn’t an AI robot that can help guide you through the whole incident lifecycle – at the moment this is science fiction. But it’s machine learning applied to a narrow use case that provides value with a reasonable simple-to-understand solution. Who does machine learning impact? ITSM machine learning will automate the designation of category and assignment group, freeing up the human operator to do more important work. Who will benefit from this change? First, we’ll see benefits for the end user or requestor. Research show that 18% of companies use a category chosen by the end user themselves, presumably through choices on a form. This puts an important decision in the hands of, respectfully, the least-qualified person to make the determination, especially when category names are technically dense and unfamiliar. Incident submission forms should be as simple as possible. Rather than determining characteristics through a complicated form setup, let’s use just the language of the end user and machine learning to determine the right values. First-level support fulfillers will benefit. Research shows that they’re most often involved in categorization and assignment – about 60% of companies use this group to read the incident and make that determination. Often teams of people do nothing other than “log and flog” incidents to subject matter expert (SME) groups. These first-level support teams should look forward to engaging with more meaningful work when this repetition is handled by a machine. Then, in 14% of companies, categorization and assignment are done by SMEs. Today only 8% of companies are using machine learning solutions to take this work away from humans but this number is guaranteed to rise. AI is an umbrella term for a number of different computing disciplines, and thanks to the combination of massive datasets, computing power, and algorithms we’re seeing solutions become mainstream. ITSM presents some use cases that are ideally suited for AI, but that doesn’t mean that we should expect solutions that exhibit “General AI” or the ability to talk, listen, and reason with us in a humanlike way. No doubt this will come in the future, but we can use narrow AI solutions today, especially for repetitive data tasks that are normally done by humans. 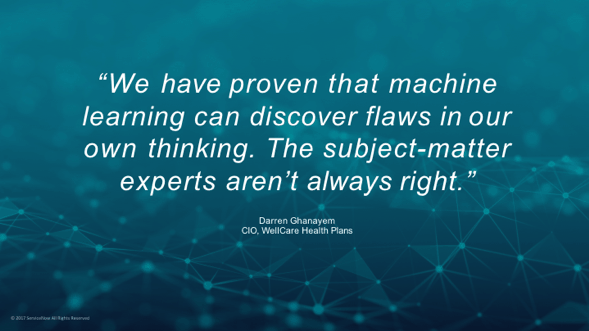 In this article, we looked at machine learning for incident categorization and assignment. In my next article, I’ll write about examples of AI chatbots that use natural language processing to perform simple tasks on behalf of end users. Please come back then. 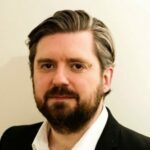 Simon Morris is an Enterprise Architect at ServiceNow, helping customers understand how enterprise service management can transform their organisations ability to deliver products to their customers. What can a corporate service desk do to better manage and deliver against customer expectations? Here are a few practical tips. How Well Does IT Know the Business? Please participate in our latest industry survey which looks to find out how well IT knows the business. The survey is completely anonymous. A service portfolio solves a significant DevOps problem – it helps both the service provider and the business to understand and agree on the “why.” See how here.